This is a translation of a post from the Spanish-language blog "Cvltvs Deorvm". My thanks to the author, Carlos Sánchez, for permission to post it here and both to Carlos and to C. Iulia Agrippa for the translation. Yesterday, January 30th, I attended the annual meeting of interfaith dialogue groups, AUDIR (UNESCO Association for Interfaith Dialogue). The day was much more enlightening than I expected, I met many people from different religious traditions, including pagan people, so I left that meeting with a pleasant aftertaste. The day began with personal introductions from those attending the event and a series of group dynamics organized by the interfaith dialogue women. Personally speaking, I did not expect anything like that, and it was a very surprising experience. It all started with some “body dialogue” exercises, and finished with all of us writing and presenting some reflections on what the body represents for us and our religious tradition. Later on, assorted, different projects were presented by several dialogue groups, while enjoying music and songs by the Interfaith Choir. For me to attend these conferences and join a discussion group meant giving a step forward in my spirituality and the work that I believe I must perform on behalf of my religion. 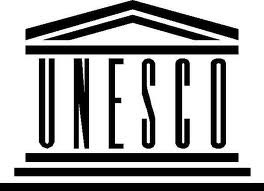 I am the first Hispanic-Roman pagan present at the UNESCO, and for me this is a way to let you know my beliefs and share them with others, a way of normalizing our convictions and make other people know that we exist. I invite everyone who has any kind of religious conviction to attend interfaith dialogue groups; the truth is that what I have lived, however small, has already shown me that we can understand ourselves as human beings, as we are, and many problems due to intolerance can be solved with the best weapon which already exists, the word. From now on, AUDIR has a Spanish-Roman pagan among its participants. I hope this small step would be helpful to rekindle the acknowledgement of our Gods, through dialogue, respect and mutual understanding. Eternal Glory to the Gods! We all owe Carlos a big thank you for representing the cultus at this event, and for reporting it to us. "Cvltvs Deorvm" is one of the blogs featured on the core site, here. I hope you will all visit both sites regularly. Another featured blog devoted to Hispano-Roman religion is "RELIGIO HISPANO - ROMANA CULTUS DEORUM". Finally, to wrap up this report I will mention that there is a Meetup group forming in Madrid with an event forming for April 23rd. Fascinating. I am pleased to see this.